This entry was posted in Alumni Activities, General News by Lance Williams. Bookmark the permalink. Alumni Board Members will have advance sale tickets in their hands by Friday, 7/13, if not sooner. 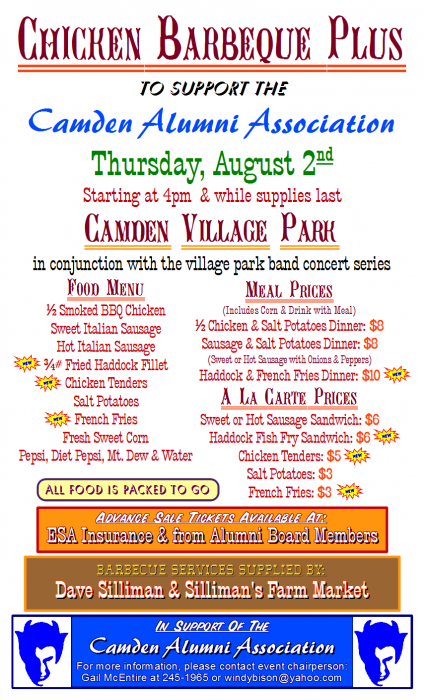 There will also be advance sale tickets available at ESA Insurance on Main Street in Camden.